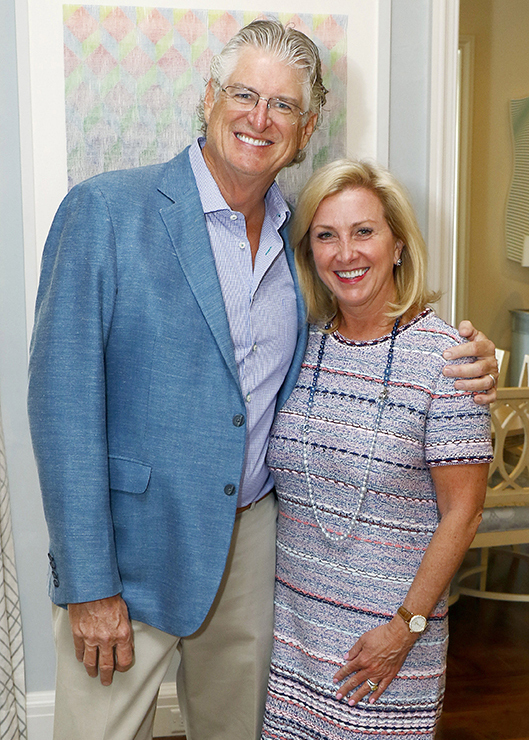 Venise Stuart, president of Les Femmes du Monde, welcomed members of Les Femmes du Monde to the Park Cities home of Penny Reid and Tom Nolan in celebration of the upcoming announcement of the nonprofit organization’s Woman of the Year. She introduced Mari Epperson and Melissa Lewis, chairs of the 2018 Woman of the Year gala dinner, who began by saying Les Femmes du Monde Woman of the Year event has been celebrated for the past 27 years honoring 32 individual women and one Couple of the Year. Melissa related a brief history of Les Femmes du Monde, saying that funds raised go towards children’s education and health. 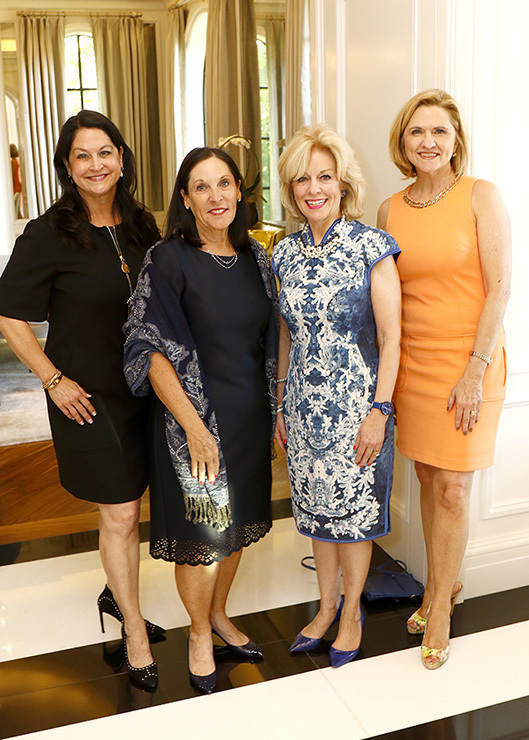 Les Femmes du Monde was founded in 1961 as a fundraising committee on behalf of the Dallas Council on World Affairs, now the World Affairs Council of Dallas/Fort Worth. In 1987, Les Femmes became its own nonprofit organization. In 1998, The Child Life Program at Children’s HealthSM Children’s Medical Center was added as a second beneficiary. Since its inception in 1961 Les Femmes du Monde has given over $850,000 to Children’s Health and $2 million to the World Affairs Council. Whitney Reilly was present on behalf of the World Affairs Council and Kyra Barnett was present on behalf of Children’s Health. At Children’s Health, Les Femmes makes an incredible impact on the psychosocial needs of the patients and families through the Child Life program. Some of those services include keeping the playrooms open (where the patients get to be kids), providing medical play to help the patients/siblings better understand the procedure they are going to undergo, providing diagnosis specific weekend and weeklong summer camps so that the patients don’t miss out on this critical experience, providing tools like ipads to help explain procedures; wii’s for entertainment and prize closet items. The Global Young Leaders Program at the World Affairs Council of Dallas/Fort Worth seeks to educate students and teachers on how international events affect their lives, their communities, and their country. The goal is to empower students to become effective, active global citizens and leaders in the community. Celebrating its 14th anniversary in 2018, this program has impacted more than 1 million students and trained more than 8,000 teachers since its inception in 2004. Dr. Sandra “Sandi” Chapman as the Woman of the Year honoree. Dr. Chapman is the founder and chief director of the Center for BrainHealth™ at The University of Texas at Dallas, where she holds the Dee Wyly Distinguished University Chair. She is committed to maximizing cognitive performance and improving healthy brain development across the lifespan. A cognitive neuroscientist with more than 40 funded research grants and more than 200 publications, Dr. Chapman conducts scientific studies that apply novel approaches to advance creative and critical thinking, strengthen brain resilience and incite innovation throughout life. The award will be presented on Wednesday, October 24th at the gala dinner at the Dallas Country Club.